Xeikon is delighted to announce its partnership with Kotkamills Oy. Visitors to this year’s Xeikon Café will have the opportunity to see the first demonstrations of the Xeikon 3500 dry toner digital press printing on Kotkamills ISLA® Duo paper cup stock. This sustainable and plastic-free food packaging solution carries the potential for paper cup converters to create new business opportunities. 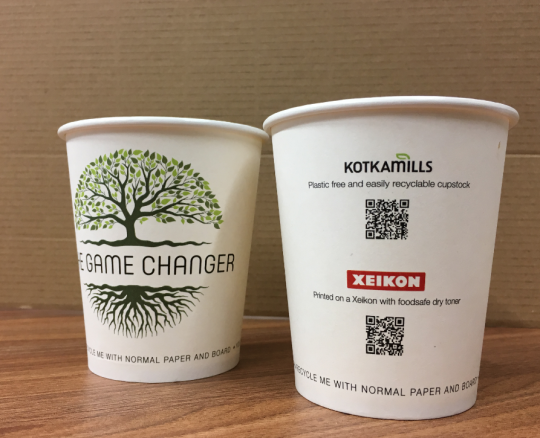 The cooperation validates Kotkamills ISLA® Duo paper cup stock as the ideal media for the Xeikon 3500 range using dry toner technology. 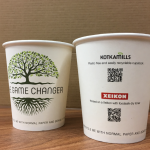 Xeikon’s digital printing method using food safe dry toner technology together with Kotkamills’ plastic-free, recyclable, and biodegradable board produces a digitally printed paper cup that answers consumer demand for sustainable paper cups to be used for drinks on the go. Kotkamills board production technology and the raw materials used in the ISLA® Duo production offer a high stiffness cup with a smooth and pleasing tactility. The barrier properties needed for the paper cups are produced with water-based dispersion, making it a plastic-free alternative. Unlike traditional PE coated paper cups, the water-based dispersion barrier layer of the ISLA® Duo does not become charged by static electricity. 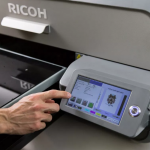 This is the innovative key to achieving high printing speeds and excellent stackability properties. For more information about the 2019 Xeikon Café events, visit www.xeikoncafe.com. Xeikon, a division of Flint Group, is a long-standing leader and innovator in digital printing technology. Grounded in the principles of quality, flexibility and sustainability, Xeikon designs, develops and delivers web-fed digital colour presses for label and packaging applications, document printing, and commercial printing. 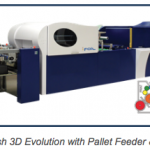 These presses utilise different imaging technologies, open workflow software and application-specific consumables. As an OEM supplier, Xeikon also designs and produces plate makers for newspaper printing applications. In addition, Xeikon manufactures basysPrint computer-to-conventional plate (CtCP) solutions for the commercial offset printing market. For the flexographic market, Xeikon offers digital platemaking systems under the ThermoFlexX brand name. ThermoFlexX systems provide high-resolution plate exposure combined with unique plate handling, flexibility and unmatched productivity. In 2015, Xeikon joined Flint Group to create a new “Digital Printing Solutions” division for the leading global print consumables and solution provider to the packaging and print media industries. Flint Group develops and manufactures an extensive portfolio of printing consumables. 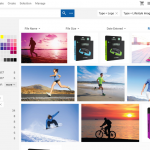 These include a vast range of conventional and energy-curable inks and coatings, pressroom chemicals, printing plates and equipment, printing blankets and sleeves, and pigments and additives for use in inks and other colorant applications. Headquartered in Luxembourg, Flint Group employs some 7900 people. On a worldwide basis, the company is the number one or number two supplier in every major market segment it serves. 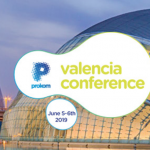 ← Digital Commercial Printing at Mid-Drupa Cycle: Where are we now?